On Saturday May 4th at 2:00 PM in Portland, Maine daring pilots will throw the gauntlet down in a contest of wills vying for dominance. 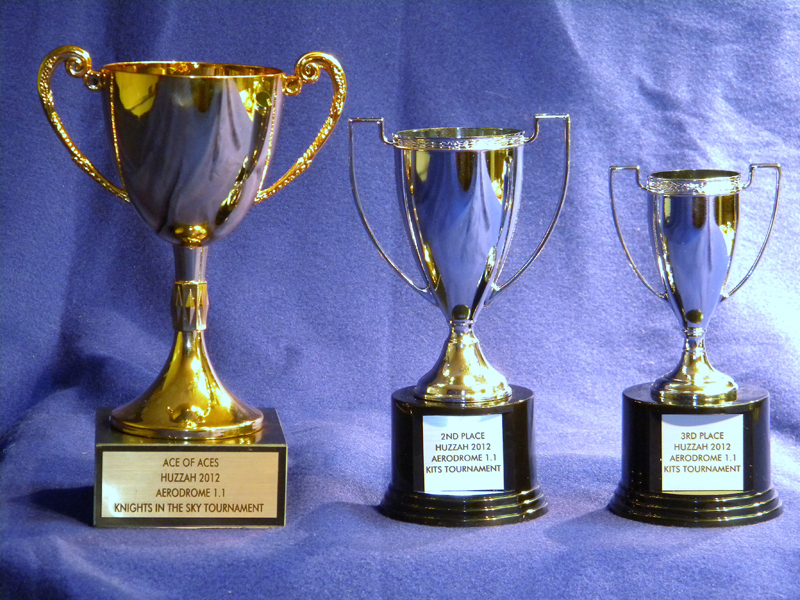 The winner will be awarded the coveted Huzzah 2013 Knights in the Sky Cup, with smaller cups will be awarded to 2nd and 3rd place winners. Take the challenge! This exciting tournament uses the popular fast play Aerodrome 1.1 aerial combat system, which is very easy to learn! Pilots of all ages and experience levels are welcome. 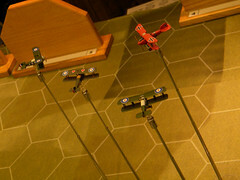 A dogfight scenario is scheduled Friday evening to help you get your wings ready! Join us for this exciting series of miniatures events! Huzzah: KitS Results and Great Fun Had! Ten pilots took to the Huzzah skies this year for a chance at the coveted Huzzah KitS Cup. It was an engaging contest with a lot of fun cross table talk between the players. The fray was thick at times and the pilots were hungry for victory. Twice the Central Powers drove the allies off the board entirely clearing the sky of Allied planes. There were several memorable critical hits, including flaming planes and forced glides. Jerry and I had a great time running the tournament and watching the furballs. Jerry running his end of the table at the Knights in the Sky Tournament. After a grueling series of missions, Eric Hatch once again dominated the skies. 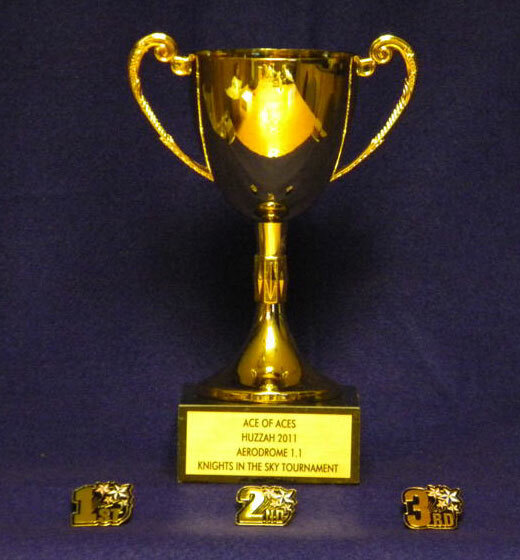 He took the Knights in the Sky Huzzah Aerodrome cup for the 3rd year in a row and made ace with 5 kills! It was a very close contest with Shawn Tester and Bill Zona coming in close behind. 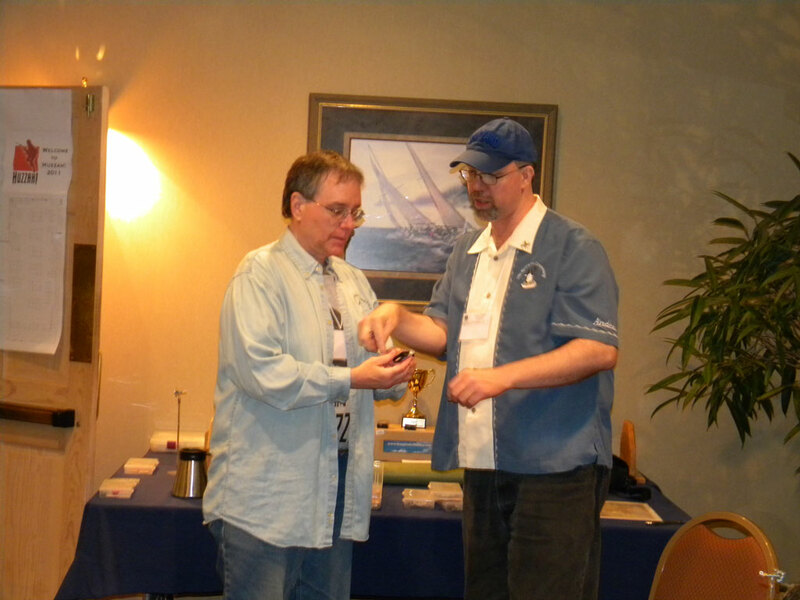 The scores were extremely closely matched for third place with Pete English and Chris getting barely edged out by a single point. I have already heard that there is planning to wrest the title away from Eric next year. He has a number of successful tactics that the players were talking about. I suspect that folks will really be gunning for him next time! The amazing boxer game terrain. This year there were a number of great games at the convention. The showcase game was a beautifully crafted Boxer Rebellion scenario. The group, led by Andy Niven, who constructed it all before parceling it out for painting, did an amazing job on the terrain. The buildings even included two hidden built-in dice towers with the results tumbling into an adjacent courtyard. There were a lot of great looking and well run games in all periods, along with many excellent GMs. I know I had a blast! 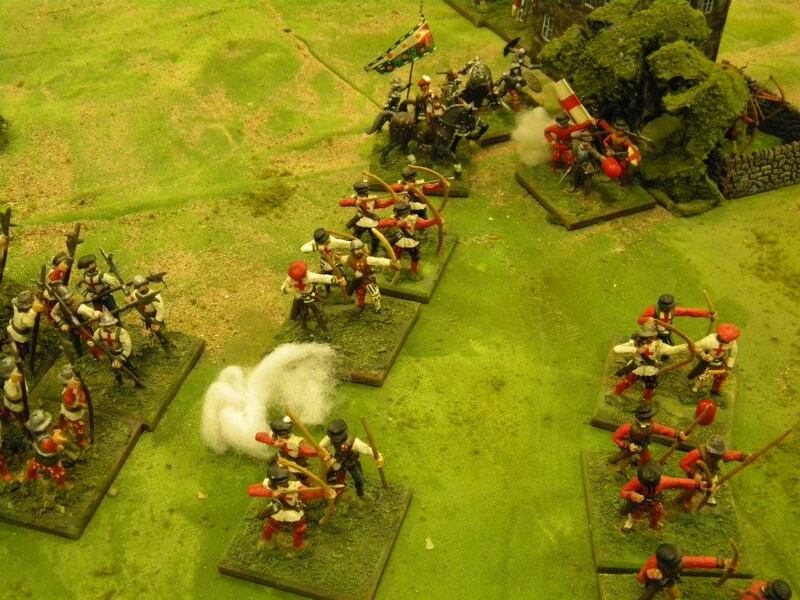 English Bowmen failing to hold the right flank against the French advance. Huzzah had a great raffle, as always, with lots of terrain, games, and rules being won! I had a lot of fun playing a Pike and Musket game despite the fact that my English Archers could not hurt the enemy and our center crumbled like a house of cards. I think it is fair to say that most folks had a great time! I hope that next year, if you have not come to the convention, you will! The Huzzah 2012 tournament prizes. On Saturday May 5th at 7:30 PM in Portland, Maine daring pilots will throw the gauntlet down in a contest of wills vying for dominance. The winner will be awarded the coveted Huzzah 2012 Knights in the Sky Cup. 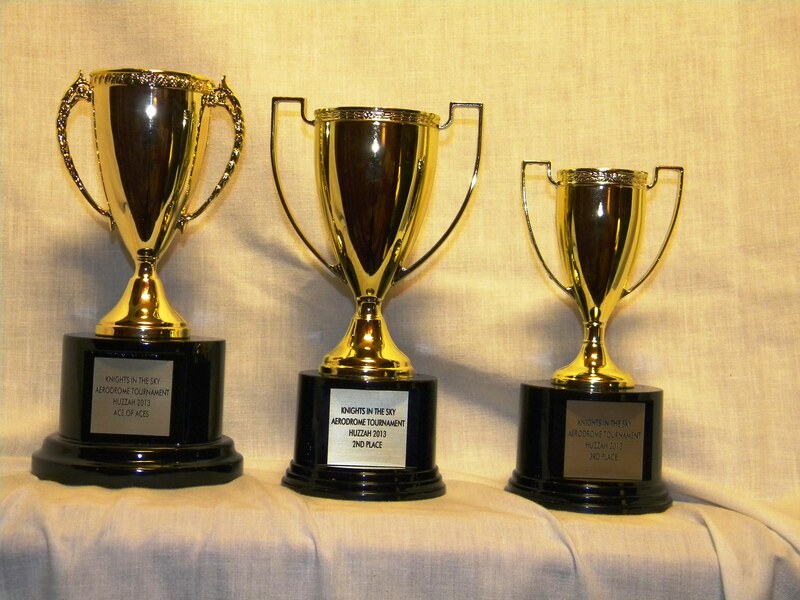 This year smaller cups will be awarded to 2nd and 3rd place winners. Take the challenge! 3rd Annual Knights in the Sky Tournament Coming Soon! This year there will be two Aerodrome 1.1 events. 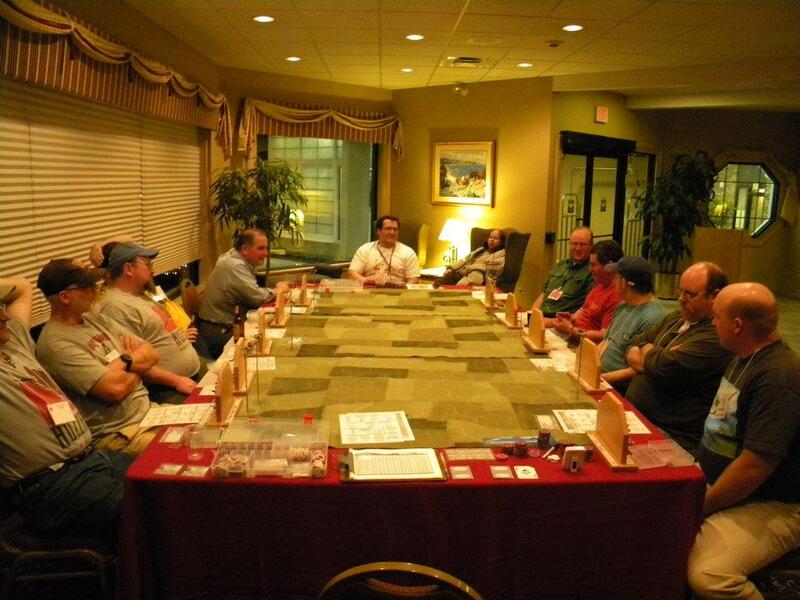 Friday Night Dogfights is an open game with players often joining as they arrive for the convention. Missions start about every hour or so. On Saturday night the players will compete for the coveted Knights in the Sky Huzzah Cup! Step right up and see if you have what it takes to gain the trophy. 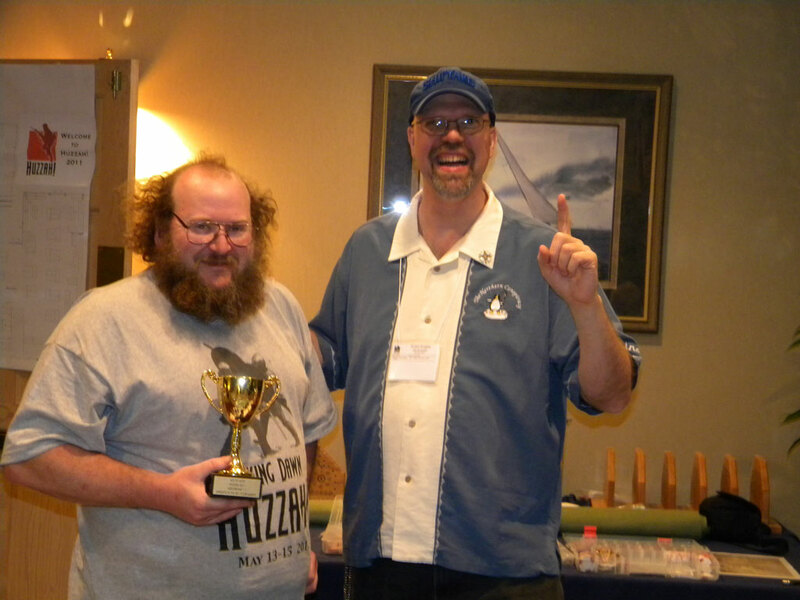 Huzzah KitS Tournament Winner & Huzzah a Blast! Friday Night Dogfights at Huzzah! 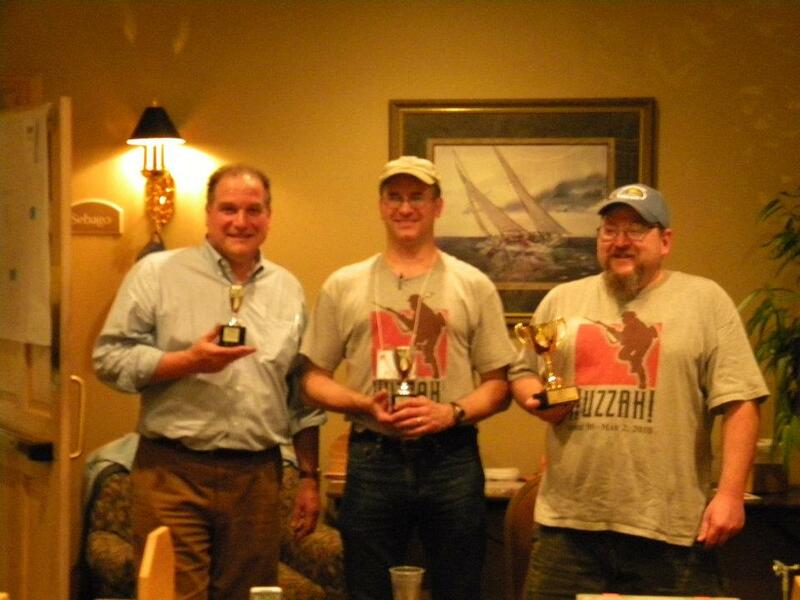 The second annual Knights in the Sky Tournament was held at Huzzah, in Portland, Maine, on Saturday May 22nd. 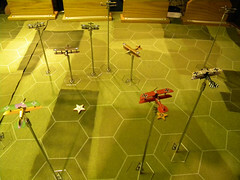 A group of 8 pilots competed for the cup. There was some nice repartee across the table and the players seemed to really enjoy themselves! Scoring was rather tight with victory going once again to the player that managed 3 kills in the 3 mission tournament. Eric Hatch emerged from the tumultuous contest as the victor with Ed Mueller close on his heels and Earl Richards closing up behind him. Eric will have to work hard to hold onto the title of Ace of Aces next year. The scuttlebutt is that several folks are anxious to unseat him next year! The game saw a few critical hits become a headache for the pilots, as is often the case. Forced glides and at one point a fire gave some pilots trouble. At least one pilot managed a landing in no man’s land only to be captured. 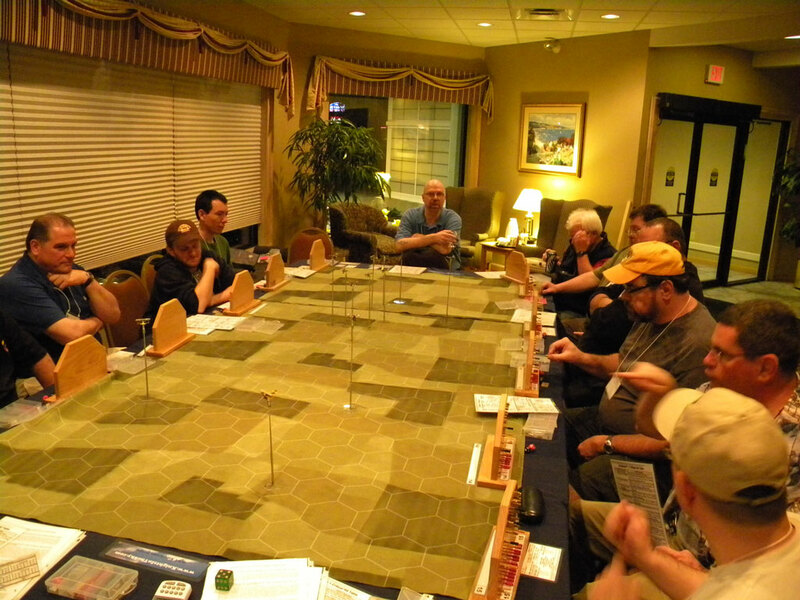 The Friday Night Dogfight WWI game went very well and folks kept joining us as they arrived. Jerry and I had a great time running it and were up to 12 players by the third mission. The players were boisterous and enthused and it was a great crowd. We hope to make that a regular part of the Friday night events! Stan Kubiak was kind enough to come up to Maine and run his WWII Aerodrome 2.0 events. 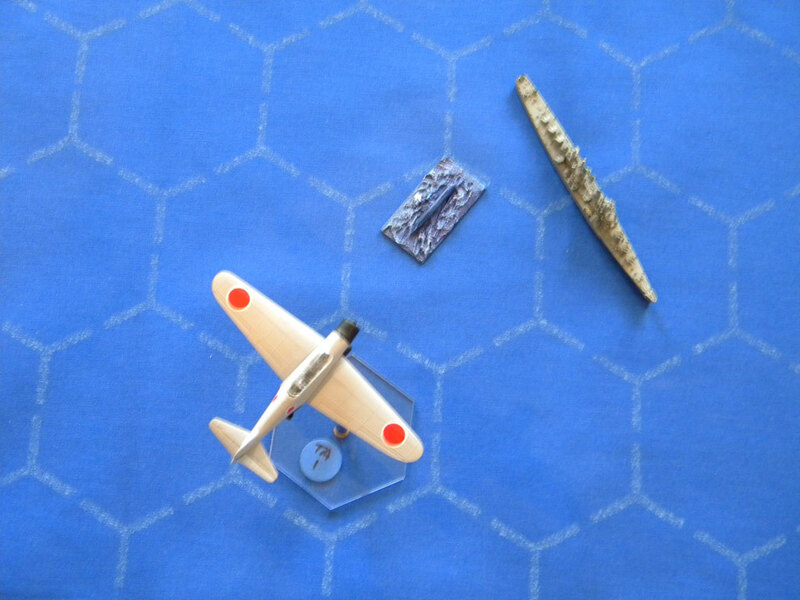 He ran a Dogfights game and as well as his well received Pacific Attack game. Folks seemed to have a good time and the Pacific Attack game was a LOT of fun and! The mechanics work well and it is a nice enjoyable fast play system. The convention went very well and the players had a great time! Dean and the crew put in a LOT of effort and we had some absolutely great games in a variety of periods. Kudos to all of the GMs who really worked hard to make Huzzah an outstanding convention. One of the key events this year was Viking Dawn, a club participation game, where the clubs provided players and painted up bands of Vikings and Dragon Ships or bands of Saxon defenders. 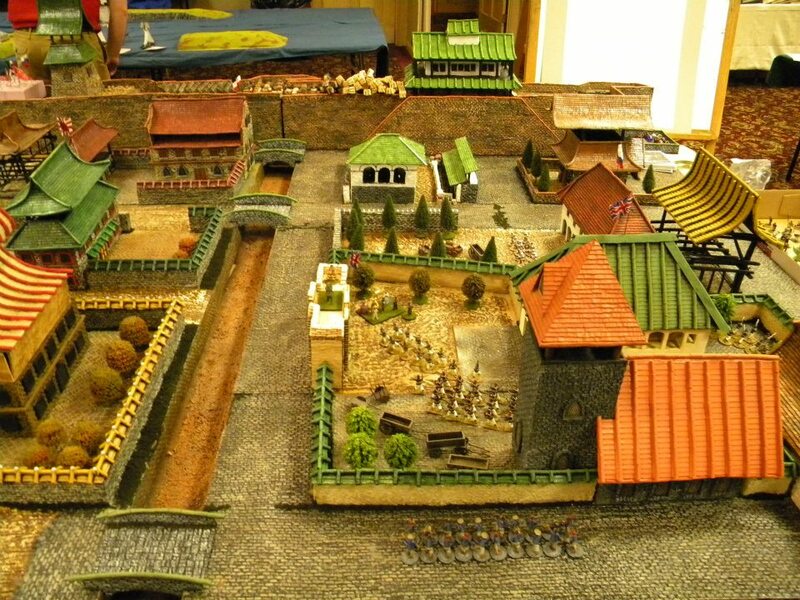 There were some well painted miniatures being placed on Chris Penny’s well crafted terrain. With raffles aplenty and a lot of well run and fun games Huzzah was a blast! I hope that some of you reading this will make the trip up to Maine next Spring to play! Game Mastering Aerodrome and Aerial Combat Games – Presentation at Huzzah! Win the Huzzah KitS Cup! On Saturday May 14th at 7:30 PM in Portland, Maine daring pilots will throw the gauntlet down in a contest of wills vying for dominance. The winner will be awarded the coveted Huzzah 2011 Knights in the Sky Cup. Take the challenge! This exciting tournament uses the popular fast play Aerodrome 1.1 aerial combat system which is very easy to learn! Pilots of all ages and experience levels are welcome. A dogfight scenario is scheduled Friday evening to help you get your wings ready! Aerodrome Site The official Aerodrome web site maintained by Stan Kubiak. 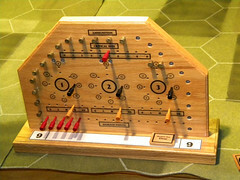 Coopers Creations Panel Makers The manufacturers of Aerodrome control panels. 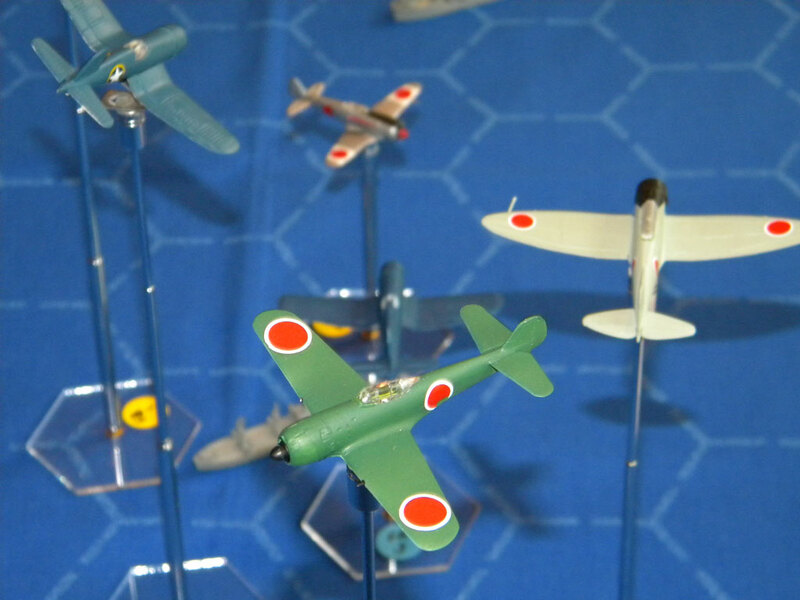 Dom's Decals A site with some great decal sets for 1/144th squadron markings and many other goodies. RLPBS – Aerodrome Equipment A dealer of Aerdrome parts and equipment. Game Soapbox Andre’s Game Soapbox with info about his RPG publications and various projects. NWL Blood Bowl A site that supports a perpetual Blood Bowl league with full statistical data. Carnage An outstanding convention with a very well balanced mix of gaming. Havoc An outstanding convention in MA hosted by BAttle Group Boston. Huzzah! Huzzah! is a premier Northern New England gaming convention in Southern Maine. 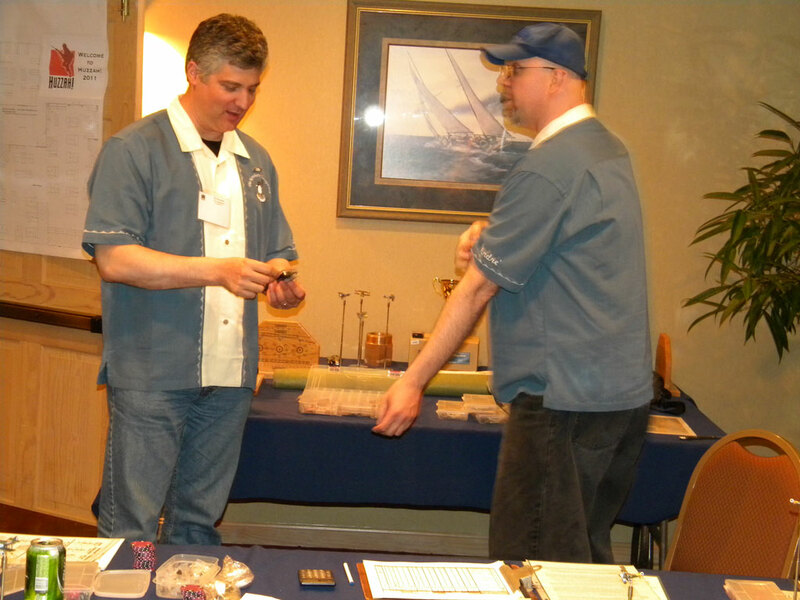 Total Confusion A well run gaming convention with a number of historical games including a FOW tournament.